Hey Indoobians, I apologize for depriving you of a friPod last week. I was on my retreat and didn’t have time prior to leaving to write one. Anyway, this is probably the song I would’ve wrote about since it’s been on heavy rotation for the past two weeks now. 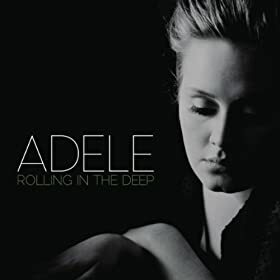 Adele’s “Rolling in the Deep.” There’s actually a handful of songs, but this is one of the first and the one I keep going back to. This is also why I haven’t had any holiday Christmas songs featured here. No worries, I’ll have something next week. But what’s so special about this song? Well… Have you heard it? I love listening to someone who can really sing. I love her earthy, almost kinda raspy voice, so full of soul. This song and a few others are like delicious food to my ears. I’m just eating it up as much as I can, which means they’re on repeat. I’m also loving the instruments of this song, and as usual, how the drums really seem to bring the house down (which would sound like another pun if you watch the music video). But I had been listening to this song before the video came out and didn’t really have a video in mind. But the video is actually pretty nice, even if I don’t quite understand it either. Sometimes, you don’t really need an explanation, just go with it. Enjoy the beautiful imagery. What the song is about is yet another woman scorned. A woman not taking her dirty rotten man sitting down (even though she’s sitting in the video). Basically, she’s saying “Get out of this house. You could’ve had a great life with me, but no, you had to go screw around and/or screw up and now you gotta go.” I didn’t quite get the understanding of the lyrics the first few times, I was too entranced by Adele’s voice and music and feeling my pant leg vibrate in the car thanks to the speaker in the car door that apparently has excellent bass. I haven’t been that familiar with Adele’s work. I know she won a Grammy last year (or year before) for her debut album 19 and next month she’s releasing her next album 21. I haven’t heard a lot from her first, and I sampled a few on Amazon but I’m not sure yet. As for album #2, we’ll see. In the meantime, I’m glad to see that this song is doing so well and is seeming as popular that it deserves to be. Yes, that comment could be an insult to someone I’m not naming… but I’m not sure who it is I’m not naming. But I’m not about those I hate, I’m all about love here… or at least I try to be. I can’t say the same for Adele and word to the wise… don’t ever cross her.